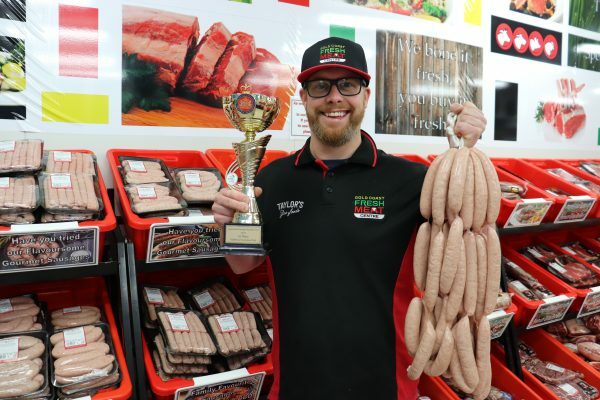 Paul will be representing us next weekend at the National Sausage King Titles in Freemantle, WA. 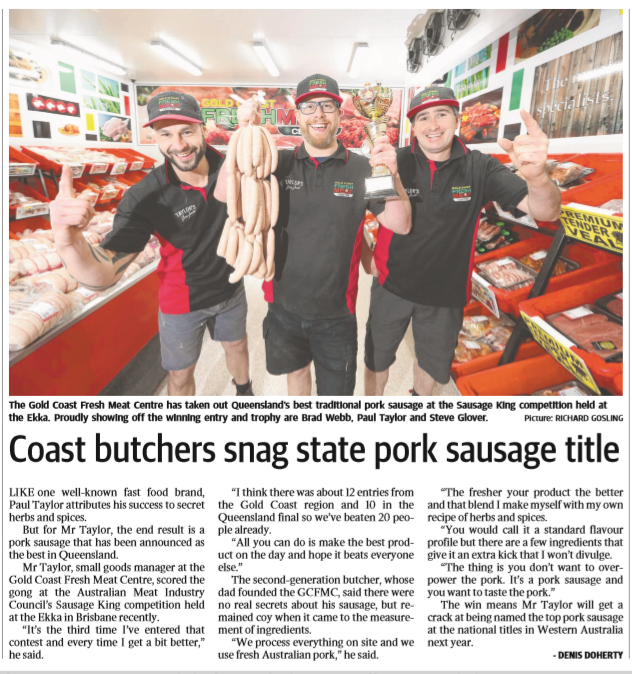 His Traditional Pork Sausage took out the Best in QLD State award last year, with Paul crediting the freshness of our trim and secret flavours for his win. 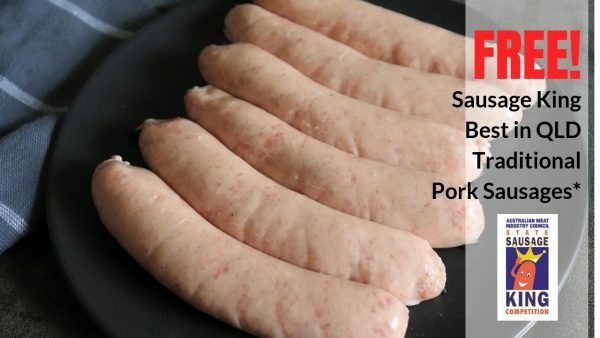 To get behind him this week, we are offering a free packet of 6 Traditional Pork Sausages with every online delivery order. This offer is valid from Monday 11th February – Friday 15th February. The awards take place on Saturday 16th Feb, so show your support and get behind him by ordering online next week!